#whOWNSpace maps are featured in Storefront For Art and Architecture’s current symposium, Strategies for Public Occupation. 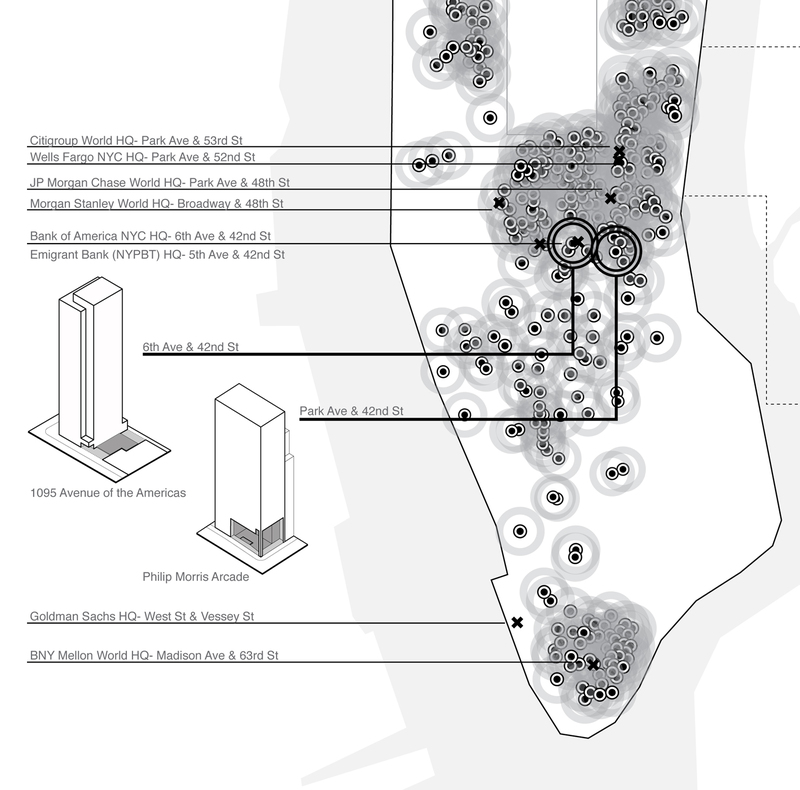 As spatial proposition, these maps continue to investigate and reaffirm the public right to the city that the occupy movement has set in motion. Like the occupy movement, they remove habituated urban blinders, the general assumedness of what is. The maps delineate the bureaucratic coding of space (and its management: see map #2) brought about through conglomerates of political and corporate processes. As diagnostic urban field manuals, their agency lies in exposing the taken-for-granted ecology of these spaces, rendering them as more contingent and contestable. Here we can see them as just one of many possible urban configurations. 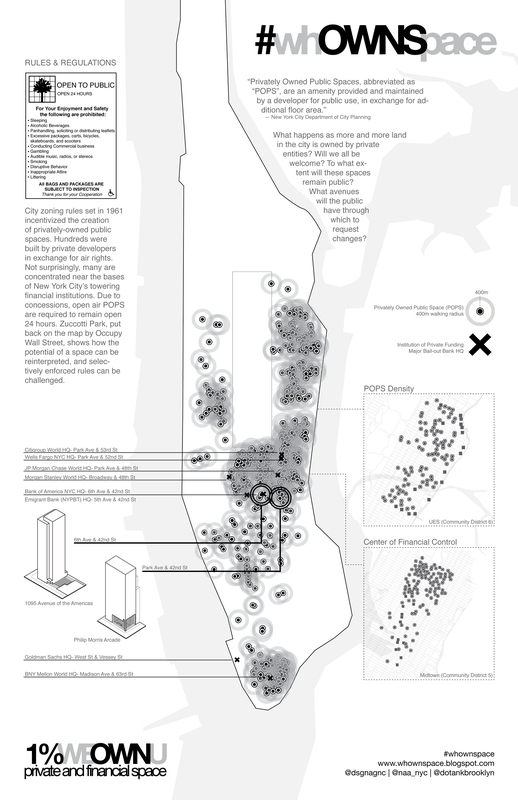 As the Occupy movement continues to bifurcate – both within its social organization and the not-so-public spaces it is experimenting with occupying (banks, foreclosed homes, port infrastructure…) propositional maps such as these seem particularly useful for arriving at new ways of envisioning space and contesting the status quo.